Living at Avalon means you'll have world class shopping, dining and entertainment right outside your door. Within the development itself, home builder Monte Hewett designed a courtyard style community consisting of 25 gorgeous single-family residences and over 75 luxury townhomes. In addition, there are dozens of communities surrounding Avalon with various living options, and prices ranging from the 100’s to over $1 million. 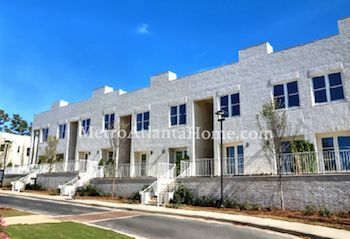 Avalon is a brand new mixed-use development located just off GA-400’s exit 10, and is one of Alpharetta’s premier destinations for work, live & play. 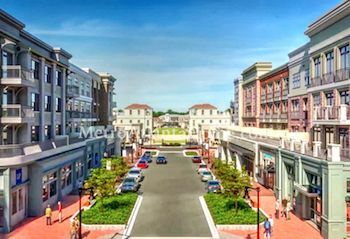 Centrally located in the heart of Alpharetta, this 85+ acre development has it all, including: a twelve screen movie theater, 300+ room hotel, convention center, office space, 750,000+ sq/ft of retail space, private residences, apartments and more. Special events are scheduled throughout the year and retail shops are open Monday - Saturday from 10AM to 9PM, Sunday from 12PM to 7PM. Designed with sustainability in mind, Avalon’s offerings and amenities are sure to deliver an experience to remember. ATMs - Located at the PNC Bank on 2nd Street. Bocce Court - Play a challenging game of Bocce Ball with friends. Children’s Area - An opportunity for kids six & under to run and play. Club Avalon - Community concierge service available during retail hours. Dog Park - Fenced in area for dogs to run & play, plus cleanup bags.? Electric Vehicle Charging - More than a dozen stations are available. Family Lounge - Changing stations, nursing lounge & family restrooms. Fire Pit - A popular place to gather, especially during winter months. Fountain - Located in the Plaza, at the heart of Avalon. Ice Skating Rink - Holiday themed ice skating rink (winter months). On-site Management Office - Get space leasing info & services. 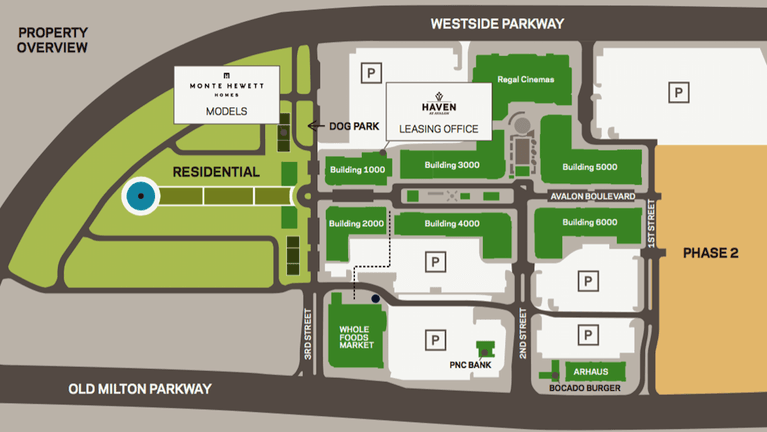 Parking - Street parking, parking decks and valet services.? Public Restrooms - More than a dozen throughout the development. Security - 24/7 on-site security team with security office. Vending Machines - Stocked with Coca-Cola products & snacks. Wi-Fi - FREE high speed internet throughout the complex. There are plans to develop more of the surrounding areas, so keep a lookout for even more great offerings in the years to come!